The Luxury Travel Bible remembers finally getting a decent mid-air sleep when British Airways introduced the world's first ever flatbed and BA has been surprising us (pleasantly) ever since. So it was good to get the lowdown from Nicole Backo the new head of BA's South-West Pacific operations. 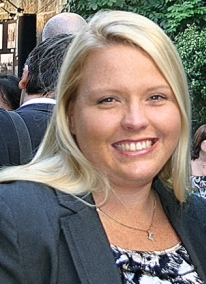 Previously Commercial Manager for Australia, Nicole began her career at British Airways 11 years ago in sales and marketing. 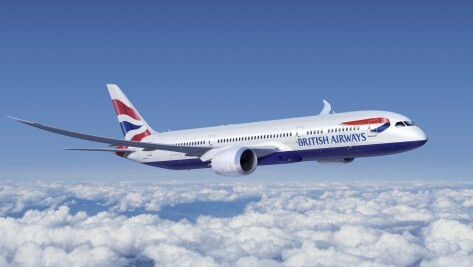 "This year is going to be an exciting one for the British Airways business with lots of prosperous developments." Says Backo. We await developments. What inspired you to get into the airline industry? Travel, I was lucky enough to travel extensively with my parents as a child, I have always loved travelling and discovering new places, seeing how others live, meeting new people and sharing their cultures. 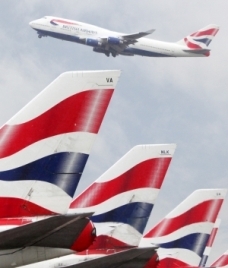 British Airways has recently celebrated 75 years. After such an illustrious track record what is the single most defining thing about BA? The innovation, BA was one of two airlines to ever fly supersonic and was the first airline to introduce the first fully flat bed in business class and revolutionise the industry for the future. 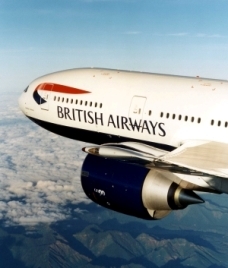 British Airways was also the first airline to introduce the first ever in-flight email and text service on the all-business class route between London City and New York (JFK) and an iPhone application for its customers . What are the three things people say they want most on board a plane that they may one day get? On Board internet access through the in-flight entertainment system - without a laptop. What are the three things they won't? Innovation is a great thing; it's amazing what changes in just a short space of time. Five years ago, we thought it was impossible to access the internet from our mobile phones, and these days you can access the internet from almost anywhere. There is always room for innovation and in time I believe we will see some amazing feats that we never thought possible. What is the next big air travel trend at the pointy end of the plane? We've begun to see airlines bringing back the glamour of travel - the exclusivity, the attention to detail and re-defining the prestige of travelling First Class. Perhaps in the next five to ten years, we may even see personalised computers in business class enter the industry. What BA destination is at the top of your wish list? That is a hard one there are so many, I want to dive the red sea in Sharm el Sheik. I haven't made it to the Caribbean and I am hoping to make it to South America later in the year! Victoria Falls Hotel - The colonial charm combined with the spectacular natural beauty of the falls make for a wonderful experience. Dorchester Hotel, London - Is classic colonial London. The rooms are fantastic and the views over Hyde Park are even better. What is your favourite city to touch down in? Depending on the flight path Sydney can be a spectacular sight when you fly in from the North. Hong Kong is quite impressive too and recently have experienced Capetown, becoming a new favourite. As an expert how do you beat jet lag? Thankfully I seem to be quite blessed when it comes to jet lag. I can arrive into London and do a full days work. That said I always make sure I get straight into the time zone at my destination, if I arrive early morning I will stay awake all day and have an early night. A good book, my credit card, travel insurance. The general experience of travelling, meeting new people and really getting to understand how they live - some of my fondest travel memories are those where you are just watching people go about their lives, learning how they live.